If you are wondering How to Lose Weight While Staying In A Hostel ? You have come to the right place . Hostel food is noted for its characteristic blandness and inability to satisfy your taste buds and mood. Pulses that settle below and the semi-yellow water that collects above the bowl . Rotis that seem dry and give your cheek bones some good deal to exercise when you try to chew them. The same old mixed vegetable curries that taste stale and often similar to the gravy of paneer butter masala that you tasted in the hostel canteen three days ago. These are some of the very common experiences that you are most likely to have with your hotel food life. 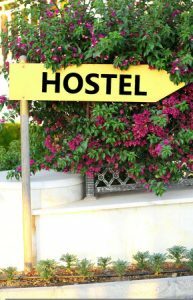 No doubt, hostel life is one of the most exciting periods when it comes to enjoying dates and blind dates. Night-out with friends and chatting till late hours. Enjoying the company of new companions, falling into love or coming out of relationship. Enjoying all the freedom that you couldn’t have enjoyed at home while staying under the supervision of your guardians. However, hostel life is one of those periods when you need to ensure that you take adequate care of your health. You need to keep a close watch on what you eat and drink. If you do not give proper attention to this area, you may put your health at risk while being most vulnerable to drastic weight gain or weight loss situations.That is why our article on How to lose weight while staying in a hostel, will be of help to you. While most hostels have their own menu for which you have already paid, it still makes sense to invest a few additional bucks on healthy foods. 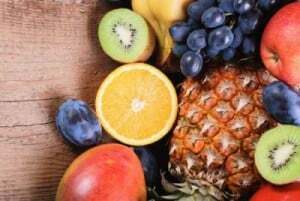 If you shell out cash for Dominos or KFC, you can definitely spend some money on fruits. Prepare fruit salads and enjoy your snack times. 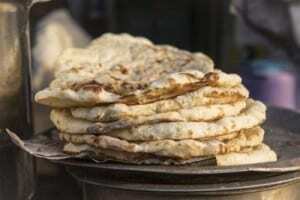 Parathas form an integral part of hostel menus and you may even be having parathas on a daily basis. There’s no doubt about the fact that parathas are tasty, but if losing weight is your goal, you may want to compromise on the ‘love’ of your taste buds. Replace parathas with ‘sukha rotis’ and take one big step towards achieving your weight loss goals. Make sure that you start off a big day with a heavy breakfast. 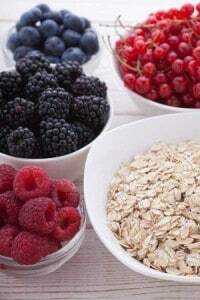 A healthy combination of milk oats/ corn flakes or muesli with dry fruits sprinkled on it and a bowl of fresh fruits are great ways to kick start a great day. 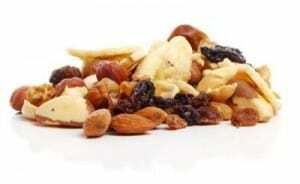 Whenever you feel hungry, satiate your urge with a handful of dry fruits. It is a better idea to consume healthy fats rather than saturated or trans fats that are present in high amounts in fried or processed ‘all-time-favorite’ snacks such as French fries, burgers, pizzas. Snacking on peanuts or roasted Bengal gram dal is also a great way to consume healthy fat in a ‘tasty’ way. You may even have bananas to beat those between-meal hunger pangs. By the way , just avoid cashew nuts . Water is a powerful appetite control element and you can really combat your hunger pangs in an effective way by having water whenever you feel hungry. 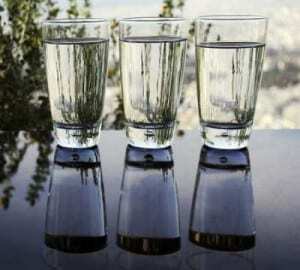 Do you know that you can beat false hunger pangs by having a glass of water? Try it out and let me know. Water will not only help you in losing weight , it will also help you in getting that clear and flawless skin. Tea or coffee sessions become an integral part of your life when you have friends, colleagues, and roommates to chat with. 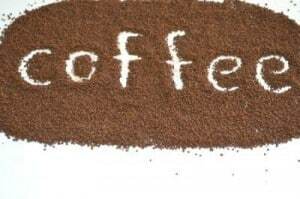 You may often end up engaging in social-political-religious or even appraisal related discussions without realizing the fact that you have taken several cups of brew during the process. And yes, please check your cola intake as well. I will not ask you to skip carbs for dinner at the initial stage as I know that it is quite difficult to tame your habit. Try having chicken roast with salad one night and question yourself how you feel. You can have a paneer salad if you are a vegetarian. If you dont have much choices at hostel , just have unlimited amount of dal along with some salads and veggies available. If you feel good, try repeating this daily. If you feel like, you may have buttermilk after dinner to facilitate digestion. Choose brown foods over their white counterparts. 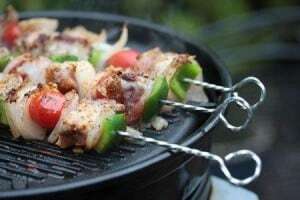 Go for tandoori rotis and mixed veggies and don’t skip the salads. Buy Brown bread and keep it handy for odd time hungers. How to Lose Weight While Staying In A Hostel ? Well, Exercise is the answer. While food choice is something which you do not have in your control, exercise is something that you can do on wish. Joining gym if possible is good option. If not , you can do simple exercises in your hostel room , yoga , aerobics or simple walking , jogging or running is something you can do at your convenience without any monetary involvement. Hostel life is a life full of influences. You will share your opinions with others and you will appreciate opinions from others. This is what we refer to as ‘peer pressure’. You are most likely to succumb to peer pressure when it comes to tweaking your lifestyle which includes your dietary habit as well. I would encourage you to stay strong in the midst of such influences. Your friends may ask you to skip your day’s dietary plan and you may choose to honor their request that day just to realize later that you have again started getting defeated by your habit. Treat yourself, but once in a while. Keep some moments special. Hostel is one of the times when you can make the best utilization of your available time. All you have to bother about is your own maintenance. You can give time to yourself and what else do you need to lead a healthy life? When you return from your college or office, you have two options- hit the gym or hit the roads. Go for a brisk walk. Believe me- street lights and the thoroughfare around you will keep you motivated. You will also meet many friends who will walk the same path as you. If you think that you want to take your health goal to its next level, join a gym. I’m sure your commitment may earn you the “Sultan” fame. Hope now you will not have to worry much about How to Lose Weight While Staying In A Hostel . All the best ! Thank you Payal, for reminding me my Hostel days, and thank you so much for given some tips for to lose weight, these days I trying hard to lose my weight, so need every little and accurate knowledge to lose a weight. I am also into the fitness industry, but we work as a mediator, and no time for my own fitness. Best information you have shared with us.Thanks for sharing. I knew I will get some useful tips in this article also( I will enter senior citizen category soon…)like…. 2.Healthy breakfast…milk+ cornflakes with dry fruits sprinkled. 3.A bowl of fresh fruits. 4.To control appetite..have a glass of water which will also help in clear and flawless skin. 4.While having snack…have peanuts and pottukadalai…dry fruits but avoid cashewnuts. 5.To control appetite..have a glass of water which also helps in clear and flawless skin. 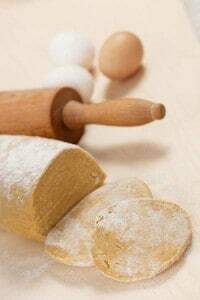 7.Have buttermilk after dinner to facilitate digestion. 🙂 so nice to hear from you after so long … im glad you are still reading . Ofcourse iam reading your blogs …so far I have enjoyed 43.. interesting and informative topics…to be apt.. Faced some very anxious moments…but by God’s grace…back to normalcy now…Hope you and your little one..are doing well..
daily morning walk 45mins and evening bodyweight exercise 45mins.?? it is good 90mins day..?? it is good 90mins exercise one day?? Great Article Keep Posting Good Info. Thank you so much for appreciating our work . this really motivates us to work better each day ! Great blog on healthcare. I have read your blog and you explain everything so properly. Thanks for sharing such information. please write to me about details of your food intake . at care@dietburrp.com and i wil try my best to help you .